Bengaluru, 18th December 2018: Celebrate this Christmas season with family, friends and frolic at Lush, Renaissance Bengaluru Race Course Hotel. Usher in the joy of Christmas as you indulge in a sumptuous brunch at Lush, Renaissance Bengaluru Race Course Hotel. Feast on holiday special delicacies accompanied by Christmas cocktails, mulled wine and the finest liquor. This Christmas eve, feast to your heart’s content at Lush. Relish a delectable festive meal with loved ones, surrounded by sweet sounding carol singers and elegant Christmas décor, to soothe the festive mood. Featuring a traditional fare of Oven Roasted Turkey, Molten Chocolate paired with Ginger Bread Cookies, a spectacular Ginger Bread House and delicious Cocoa Bars for kids. 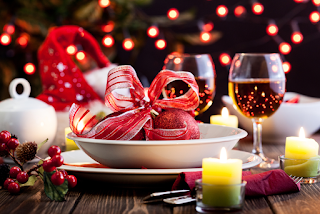 Christmas cocktails, mulled wine and more will add to the spirit of Christmas. Fervor in the festivities and create unforgettable memories this Christmas Eve at Renaissance Bengaluru Race Course Hotel. Roister in a splendid Christmas Day at Renaissance Bengaluru Race Course Hotel. A festive feast curated at Lush is set to tantalize every Christmas craving. The exquisite menu displays a multitude of enjoyable Christmassy treats. Live music, dazzling décor and special cocktails will surely stir up the Christmas spirit. A special Santa surprise is sure to leave the kids jumping with joy as they get goodies and yummy Cocoa Bars. Have yourself a very merry Christmas with family and friends at Renaissance Bengaluru Race Course Hotel.